Why Do We Need to Be Better Communicators to Grow Our Career? Let see..
Communication skills are the essential and prime requirement to grow career in any field. If someone is not good with interacting with other persons, he or she has to face the outcomes for this weakness. A good communicator is easily noticed and the person is able to explain about the skills and any sort of achievement he had. All the organizations in the world will prefer to hire the professionals with good communication skills so that the professional is able to interact well and provide the solution to the problem to the stakeholders of the company. Developing the communication skills is really important for all those who are less noticed at their workplace. You cannot let the project mate of yours to take all the credit for the work you had worked equally only because of the reason that you are not comfortable with communication skills. You need to boost up the skill to communicate and the art to interact with other professionals and clients in order to boost up the career at unusual heights. You need to fix all those problems that come due to lack of confidence during interaction by improving the communication skills. more clients. This directly set your career in a new place and you will be full of enthusiasm and confidence. Being a good communicator, you will be noticed by all the fellow persons, the authorities and of course famous among the clients. Good communication skills will lead to a better career and helps it to grow at a rocket pace. Developing good communication skills will help you to build your own identity at the work place. Therefore, it is time for the people to work on the communication skill to groom it if they want to boost the career. Why Do We Need to Be Better Communicators to Grow Our Career? Change is necessary! Change is unavoidable! Change is happiness sometimes! And change in career? Some of the changes are necessary and that are for improvement. Change in the career may sometimes prove to be crucial. To obtain life on a smooth and steady path one needs a good instead a great career. 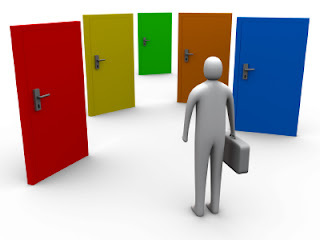 Choosing a field decides your career but it is not always true. You can build your career in the way you want, but you have to narrow down the options. For building career, you need to focus on yourself and give yourself some time. There are a lot of ups and downs in the life. Sometimes the career you might have chosen do not satisfy you and then you decide to take the most important decision of life i.e. switching your career. It may be a hard decision and you find yourself on the start line again. There are so many things that might insist you to switch careers. Contentment: the work you do should give you happiness and contentment. To enjoy the job you need to be fulfilled by all the benefits that your work offers. A lot of people change their career due to lack of satisfaction. So, you need to be satisfied with the job and if not you essentially need to switch to the career you think give you satisfaction and fulfil your needs. It might take a lot of time more than 2 or 3 years but time is the investment and the outcome will be more. So before switching to a new career be sure that you will be satisfied and contended with the next. Skill required: Make sure that the next career you are going for must fulfil and stand up in terms of the skills you have. Be sure about the required skills and knowledge about the same so that you do well in the job. Moreover, make it match with the knowledge you gained during graduation or high school so that you do not face much difficulty. You must be clear in terms of the strength and weaknesses of yours at this critical situation. Avoid taking chances. Financial outcome: It is very important to review about the career you are switching in terms of the financial statement. After all you are doing all this due to money issues too.Be sure about the investment and the profits. You must also consult the experts or the consultants before taking a critical decision. Career in Forensic Science, Criminology, Police: A relatively new field has been created wherein people who are interested in criminology and crime investigations can opt for a career in Forensic, Criminology police. This exciting career is many a times is viewed with awe and admiration by the common man. With the right aptitude and determination you can embark upon this unique career and be a successful Forensic scientist. The crime rate in the country is increasing due to multiple factors such as lack of patience, intense greed and many more. In recent times, there is rapid advancement in DNA technology and this has led to the creation of National DNA Database .Thus the department of police is depending greatly on the forensic evidence. As a result numbers of job are being created in the Forensic Science Sector. There is a considerable growth in the growth in employment opportunities even though the competition for senior positions in forensic science is very intense. Preparation:There are a number of ways that you can prepare yourself for a career in as a forensic scientist. An undergraduate degree in forensic science includes topics such as crime scene investigation and criminology as well as basic chemistry and biology. You can also go for post graduate degree in forensic science from a reputed college. Undoubtedly these courses give you the right kind of education but still these courses do not prepare you for the workplace. Besides the correct academic background there are many personal characteristics which are important for this job. A Career in Forensic, Criminology, and Police you will requires in-depth knowledge, tremendous patience as well as intense concentration. The work is exhaustive, painstaking and at times monotonous. An inquisitive bent of mind is very essential, in addition to an ability to produce excellent analytical work. You will require varied skills such as, mass spectrometry, molecular biological techniques, and chromatography in order to deliver results. Career Prospects: There are many job prospects for a person who wants to take up this profession such as at , police departments, crime scenes, in courtrooms or in a traditional office environment. Private investigation companies also offer jobs to competent professional and offer substantial pay packages and salary. Armed with a competitive degree and work experience you can set up your own private workshop and forensic laboratory. People who have the dedication and strong will power coupled with knowledge and training for this challenging career can earn many professional rewards. Facing an interview! And nervousness! That’s quite common. You need to buck up and get smart. Communication skills are pretty much the essential thing required and noticed by the interviewer after judging the subject knowledge you have. You must be able to demonstrate yourself and the skill and the experience you hold. It is very necessary that you are able to interact well and clear all the questions of the interviewer that he/she puts. The common mistake is that one hesitates during the interview and here you get a lesser score as compared to your counterparts. Be prepared before the interview and be flawless. Don’t hesitate or take too much time to demonstrate yourself in front of the interviewer. Specific: Be specific and clear about the achievements and have a record of them. Measurable: about the experience or any field work and the proper duration. Actionable: Here you need to be actionable by giving a good response to the questions by the good, fluent and flawless communication skills. This will impress the interviewer and you will come into notice by the confidence. This will definitely boost your chances to get selected. Relevant, clear and straight forward: do not quote any term about yourself that is unspecified or confusing or may be judged wrong in front of the jury. Employees want the person that is passionate and clear about the job terms so show passion and your willingness to continue. Highlight and be relevant in terms of the skills so that you can prove yourself the perfect person for the job. Timed: timing is really necessary during the interview. Take a quick pause when the question is asked and give the response in an impressive manner. Highlight and start with the best qualities and achievements of yours. The common and the very first question asked during the interview -“tell us something about you”. So if you response quickly, it will be a positive start for you. SMART criteria followed by the people helps them in setting personality development goal. It will help and focus for the preparation of the razor-sharp interview response. Dress well as a professional and decent. Show off must be discarded. Be confident and straightforward, as the interviewer will not be impressed by you if you try to misguide them about yourself. Give an outline about the task and the situation you had related to the field or the job and tell about the action you took and the observed results. Preparing for Job Interviews - Get SMART! In today’s competitive world finding the right job is just like finding a needle in a huge haystack. There are a lot of opportunities but what to choose and whatnot is really difficult to figure out. A career in a particular job is difficult to predict since the world keeps on changing and progressing. It is true and well said that to cover a distance of miles you need to take a step first. Similarly to start with a great career you need to start with a small one. Great things and great career are not built at an instance. This requires a lot of time and patience. As the Rome was not built in a day, in the same manner you need to work hard and have the power of decision making and a little patience. All this will definitely take you to the positive road to a bright career in a particular field. It is really important to find a right job that opens up doors to brighter career. Although it is not easy but getting proper education, experience and making a good professional circle will make you help in the same. The first thing to find a good job is getting educated. At the graduation level you get yourself clear about the field in which you want to go to excel. Education will open up many doors and it will improve your strength and cut the weak points you have. You will be more confident about the job you want to have. Taking some training in the field you want to indulge will help you in getting the job. By this, you will prepare yourself about the real and professional work environment and it will help you in getting the right job that will help you with a brighter career. Making contacts help you a lot in finding a good job. In today’s world, you need references and a lot of professional support to get into the job. Just maintain a good circle and be in touch with these people. It is not what you know; it is all about whom you know. This is true to a greater extent. Professional support will help you in the job issue settlement and you will find it soon. Getting in touch with more and more people will help you know about the places, the companies, and their requirements, so it will help you largely. These days, finding a job is a big deal but with good education, competitive knowledge, a little experience and good relationships will help you out.